For 20 years, the Management and Staff of Interior Resources Group Inc. have been leaders in Furniture, Fixtures and Equipment Installations (FF&E) as well as specialized corporate and institutional moving services. 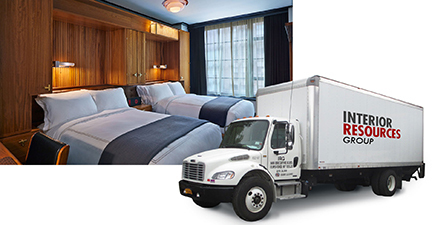 Interior Resources Group is the best choice when you need specialized moving and storage services. Our knowledgeable and experienced staff, along with our equipment and resources, assures you of receiving reliable, high quality services at competitive prices.